In Greek mythos, myth means story or word. Myths are symbolic tales believed as true, usually sacred, set in the distant past (often primordial times) or other worlds or parts of the world, and with extra-human, inhuman, or heroic characters that concern cosmogony and cosmology (the origin and nature of the universe), may be connected to belief systems or rituals, and may serve to direct social action and values. In recent times, the slogan of a past campaign powered by Greek Tourism Organization was ‘’Live your myth in Greece’’. Today, that Greece suffers from a financial crisis, one wonders what kind of myth could he live here? People have to deal with great financial problems, as taxes and unemployment have been raised in really high levels. Youngsters have started planning their future out of the country anywhere in the world. Everyday mass media broadcast the most pessimistic side of reality and promote misery in an effort to convince us that this is our fate and we have to accept it. They usually talk about ‘’National depression’’. In the meantime, outside the country there is a general opinion that life in Greece has stopped, culture events of any kind are no longer held and the only thing that happens are a few violent demonstrations or strikes, which are also the ones that gain more publicity than any other type of news. On the contrary, for those who live here the situation is completely different, as life not only isn’t stable at all, but is moving even faster. Society regenerates, human relationships are becoming even more vibrant, more and more people get involved in current affairs, switch off their TVs, leave their houses to meet others and express themselves. This is how companionship grows, social solidarity develops and struggle for human rights becomes more vital than ever. In addition to these, cultural activity is booming as it always happens during periods of crisis around the world, when is the right moment for art, in its various forms, to take action. It is remarkable that during the past year 10 new cinema clubs have been founded. Meanwhile, festivals, such as Olympia film festival and Camera Zizanio, cross the national borders and send a message to the world by taking initiative and try new things. One such thing is THE MYTHOS PROJECT. THE MYTHOS PROJECT intends to discover life in various expressions, obvious or hidden, loud or silent, that reveal that we are still alive, meet, talk, fall in love and make things occur. Because life is constantly moving on and what we create today is what will rest for the next generations to come and continue it. THE MYTHOS PROJECT wants to bring into the surface the fact that the true dimensions of the ‘’Greek problem’’ are international and timeless. 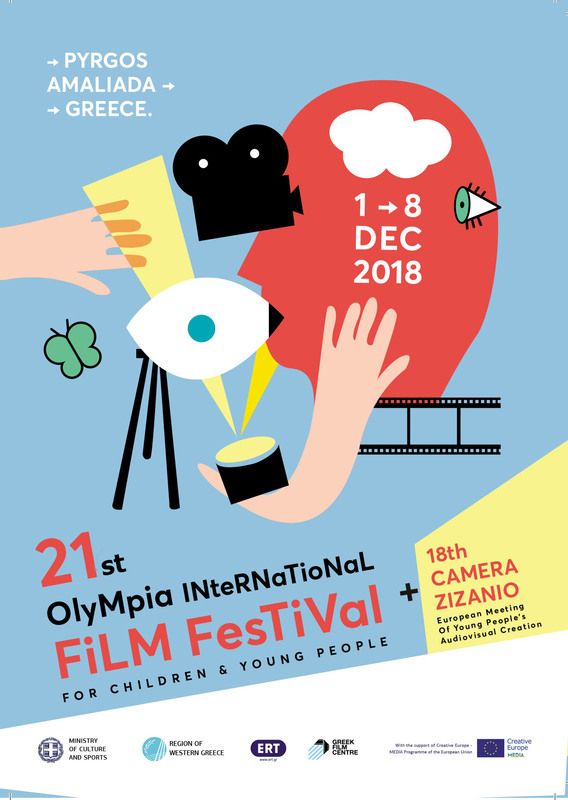 THE MYTHOS PROJECT is powered by «Zizanio News» team and is addressed to all the young people who will come to Pyrgos to participate in Olympia Film Festival and Camera Zizanio. After being divided into several groups, those who are interested in the project will create stories referring to a main topic, film them, edit them and in the end they will connect all of them together, in order to make a united movie. The preparation of the project will start on the web (for this purpose we created themythosproject.wordpress.com) and will follow certain steps. On the blog we will upload ideas, photos, news, information and anything useful for writing the scripts. After arriving in Pyrgos(3 or 4 December), teams will finish the scripts, shoot and edit them. On 10 December the outcome of this project, one collective movie, will be screened, then uploaded on the internet and start its tour around the world. New technology is to show that life can’t become anything else than better.